- This tour is available all year round - Can be customized according to your wishes - There is no hidden cost. Tours with professional English tour guide, licensed by the Ministry of Tourism. Items of a personal nature (souvenirs, etc.). Drinks (except those served with breakfast). 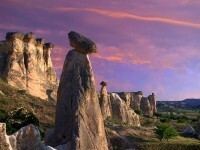 Early morning you will have transfer from your hotel to airport for the flight to Cappadocia ( 60 min ). Upon arrival to Cappadocia airport our transfer man will be waiting for you holding a sign with your name on it, in order to transfer you to our Cappadocia office. 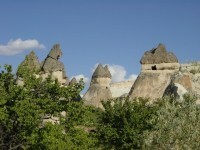 Today you will have full day tour of north Cappadocia to visit. 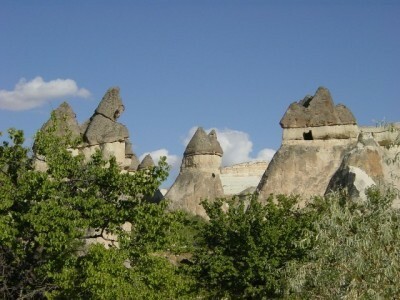 Uchisar town to see the big rock on top of the hill with lots of rooms carved into cave. Urgup town to see one of the most famous rock formations that are symbolizing Cappadocia, Devrent valley, Avanos town is red clay pottery center of Turkey since Hittites. Goreme open air museum to see the most beautiful rock-cut churches with one of the best preserve frescoes (wall paintings). The tour will end approximately 16:30 p.m and you will be transferred to your hotel. 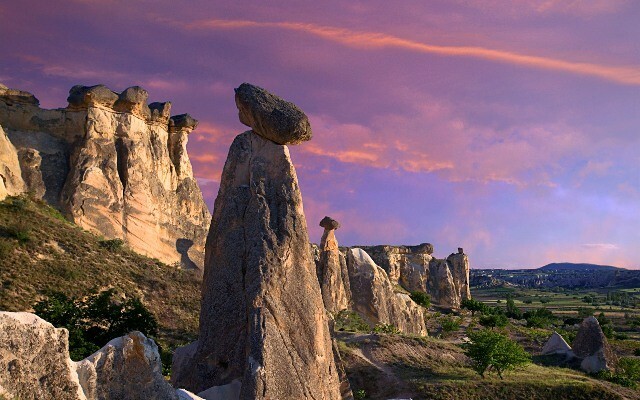 You have the rest of the day by yourself to explore this beautiful Goreme town. After breakfast at the hotel, your guide will pick you up for full day south part of Cappadocia tour to visit Pigeon Valley, Uchisar castle, Kaymaklı ancient multi-level underground city which is 5 floor and extending to a depth of approximately 40 m. Then head off to the Red Valley, this beautiful valley gets its name from the rose-colored rock. Here we will hike for 2 hours to see the beauty of the valley with several rock-cut underground dwellings and churches from the Byzantine period. The tour will end approximately 17:00 p.m. After the tour you will be transferred back to your hotel to pick up your luggage for transfer to the airport. Flight from Cappadocia to Izmir, upon arrival to Izmir airport our transfer man will be waiting for you holding a sign with your name on it, in order to transfer you to hotel in Ephesus area. Overnight in Kusadasi / Selcuk. 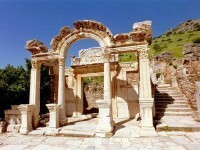 After breakfast at the hotel, your guide will pick you up for full day Ephesus and surroundings tour. 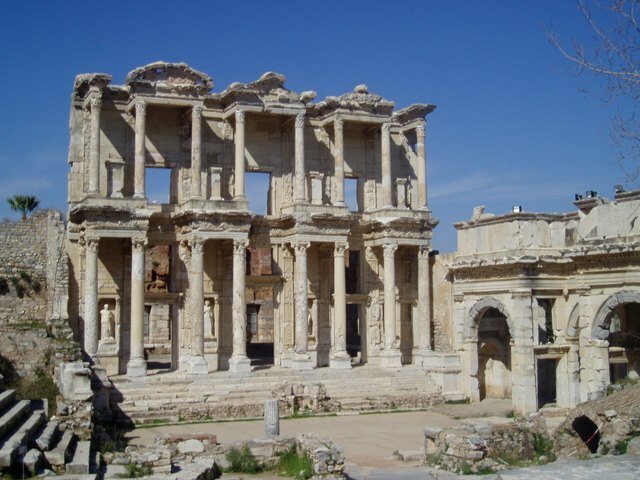 Today we will visit Temple of Artemis which is one of the 7 Wonders of the Ancient World. 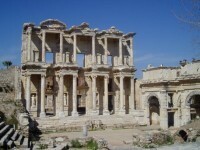 Best of the day is Ephesus antique city which was established as a port city, it has been most important commercial center, once a religious center of the early Christianity and now it is one of the most important visit site in Turkey then we will go to house of Virgin Mary the belief that Virgin Mary had spent her last days around Ephesus and she died there. End of the tour you will be transferred to your hotel. This morning you have to check out the room before the tour start, because you will have transfer to the airport right after the tour. 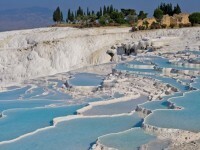 After breakfast at the hotel, your guide will pick you up for full day Pamukkale and Hierapolis tour. This beautiful naturel and historical sides are about 2.5 hours driving distance from your hotel but this will be a nice country side experience for you. 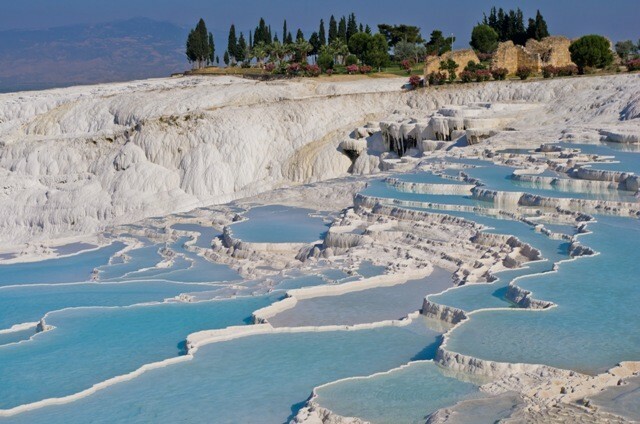 Today we will visit Pamukkale, meaning “cotton castle” in Turkish because the travertines and terraces of carbonate minarels left by flowing hot spring water. 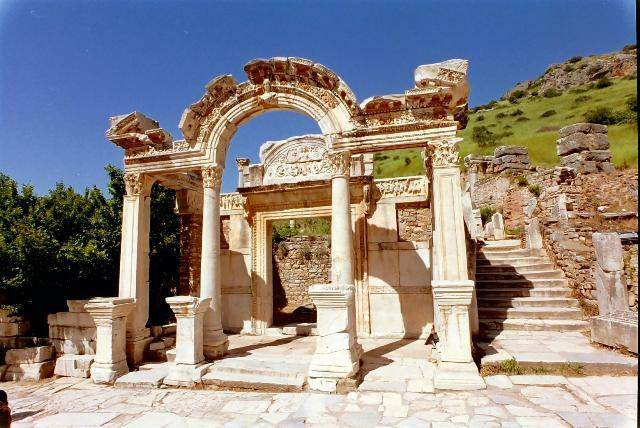 Hierapolis ancient city has been one of the most important spa and health center since 2nd century for Jewish, early Christians and Romans. Upon your arrival at Istanbul airport our transfer man will be waiting for you holding a sign with your name on it, in order to transfer you to your hotel.